In the summer of 2015, HRC founder Ehud Sperling discovered a truly remarkable fact about the land we are reforesting and its connection to the indigenous people of the area, the Maleiku. 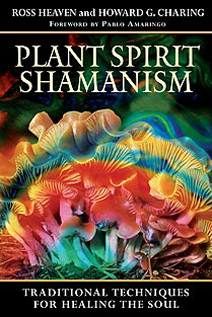 Ehud has had an active interest in indigenous shamanism for decades, as evidenced by many of the books produced by his publishing company Inner Traditions. He had long wished to learn about the indigenous peoples of the Guanacaste province of Costa Rica, but reliable sources were hard to come by. After visualizing his intention to discover the shamanic traditions of the area, he had a chance encounter with a man who turned out to be the grandson of a Maleiku elder. Simply chatting about his time in Costa Rica, Ehud mentioned the Hacienda Rio Coté reforestation project, describing where it was located, and a serendipitous connection was made. The man explained how the lands of HRC are part of the traditional lands of the Maleiku, the same lands where their shamans were once initiated. He had even spent the night in the HRC forest once when gathering materials to build long houses. Nearby Lake Coté (which flows into the Rio Coté, HRC’s namesake and border) is considered the heart of the sacred lands of the Maleiku. And indeed, when viewed from above, this lake in the crater of an extinct volcano looks like a heart! With this new alliance formed, the man agreed to come visit HRC regularly to help select saplings and seeds from the rain forest for the primal nurseries and to teach visiting students and volunteers about the plants and animals of the local rain forest and Maleiku traditions as his Maleiku grandfather taught him. And as the rain forest once again surrounds the sacred heart of Lake Coté and the traditional lands of the Maleiku, perhaps their shamanic traditions will return too.